Graphic and web designers need skills that go beyond knowing the software. The technical skills an employer looks for in a graphic designer are just the beginning. To come up with good and engaging websites, today’s designers are required to possess and excel in many different skills. 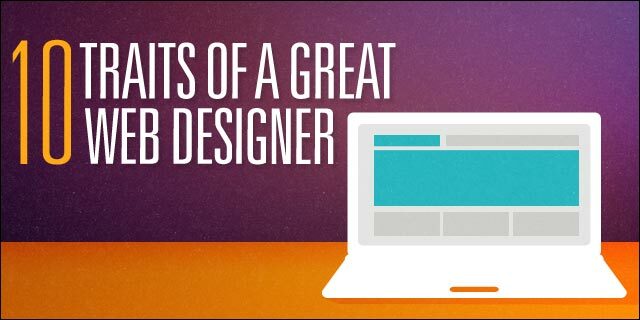 Web designers are traditionally expected to be good at both writing and communicating. They also need a lot of self-initiative. But these don’t suffice anymore – here are ten skills you need to know today to create engaging websites or hire the right designer. Website designing requires lots of planning and research. It’s critically important that web designers are able to assess situations accurately and seek multiple perspectives. They also need to gather more information and identify key issues that need to be addressed. These will help designers ask the client pertinent questions and extract accurate information from them about their needs. Web designers should be able to come up with lots of new and unique ideas. They should also be able to put those ideas on paper easily. When web designers can think outside the box, it helps them come up with unusual and innovative ideas. Designers should not only be creative in experimentation, but also in their approach to the design process. By observing the environment around them, or by taking an interest in totally unrelated fields, web designers can come up with lots of original ideas. Reading or traveling will also help. An open mind finds inspiration everywhere. Designers should be aware of even the tiniest details of the client’s requirements. When designing a website, it’s greatly important to be able to come up with a basic drawing, and then to follow through with all the minute details the client wants. Designers should also be good listeners when receiving feedback about draft sites. Knowing and paying attention to detail can help designers understand much more about their client’s desires. It’s often the details in the design that make the site unique and get the client’s approval easily. Web design artists must be able to coordinate with others in achieving desired goals. Designers have to communicate with their team members, just like web developers. People skills are very important to ensure the smooth functioning of any web design process. Web designers should analyze and evaluate their work, look for solutions to problems, and then make the necessary changes before sending it over to the client. Although the final analysis will be done by the client, they must always evaluate the work first and fix any errors. When they send in an error-free draft, they leave a lasting impression on their client. These skills help designers effectively manage tasks and information. Being able to stay organized and prioritize well will ensure improved work output. When designers set a goal to be organized, they’ll get to the finish line faster and with better-quality work. They should file their papers, dispose of things they no longer need, and be organized – throw away unnecessary papers, put the computer files in order, and do other things that make their work area free of clutter. Although presentation skills are important for designers to succeed in selling their ideas, they are among the most underrated and seldom-discussed skills. Of course, tools and software help them design a website, but to communicate their ideas to clients, it’s up to their presentation skills. Designers are expected to be flexible with their project demands. Even the most detailed draft site should always have room for flexibility, since things can change during any stage of the project, sometimes requiring a completely different outlook. Great designers must always be flexible and work within constraints, guidelines, or any new specifications that come along, and adapt their design to any new situation. Web designers must be effective at managing time. They should try to complete a draft of their work before the deadline, and then take feedback from the client and make changes as needed. Completing work before time gives them a chance to re-check everything and correct errors. Efficiently managing time is the KEY to feeling confident in design projects. Designers can be successful if their efforts are focused and well-planned. Delivering a project on time leaves a positive impression on the client. As technology is ever-evolving, designers need to adapt to new ideas, environments, and responsibilities. Those who survive the longest are the ones most adaptable to these changes.